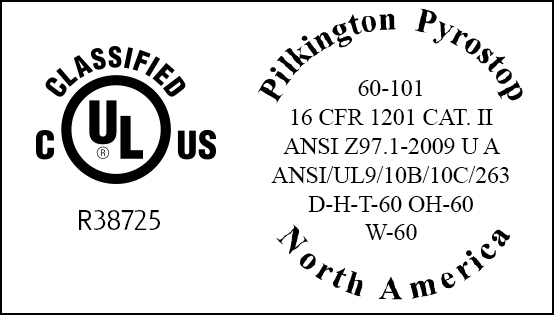 Looking for a little help in understanding IBC label requirements? Over the years, there have been significant changes to the building codes for fire-rated glass windows, doors and walls. We can help. See below to take a closer look at some sample labels and define a few key terms. Fire-rated glass labels include a multitude of information, including the product name, basic characteristics (e.g., tempered, laminated, etc. ), compliance with impact safety requirements, and whether it is listed by an independent testing agency, such as Underwriters Laboratories. 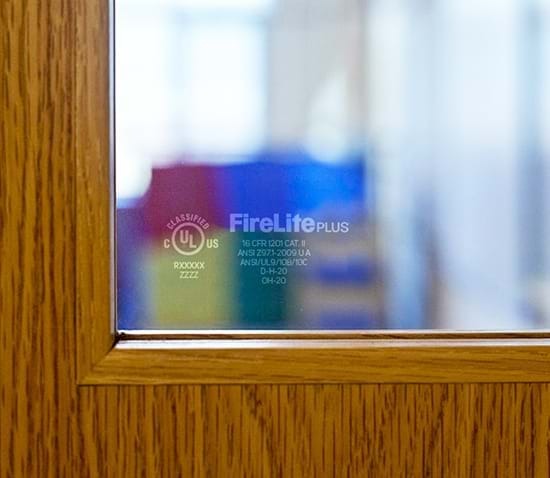 Labels permanently affixed to fire-rated glass also indicate which fire tests it has passed, and which applications it is suited for. Starting with the 2012 IBC, the code incorporates amendments to the fire-rated glass marking system to further simplify the number of marks from the previous system. Use this interactive tool to find the markings on the labels and see their definitions. ClickTap the appropriate Marking below to see it highlighted on the label sample. Meets fire window assembly criteria including hose stream test. Meets fire door assembly criteria. Meets fire door assembly "Hose Stream" test. Meets 450°F* temperature rise criteria for 30 minutes. The time in minutes of the fire resistance or fire protection rating of the glazing assembly. Take a more comprehensive look by downloading the PDF.